drivingandlife: Baby With Big Shoes! · * 3.9 million cars produced in just 18 years! · * 7 cars enter the Liege-Brescia-Liege Rally in 1957 and won, all finished! · * A circumnavigation of the world completing 32,000km in 99 days! What is it? 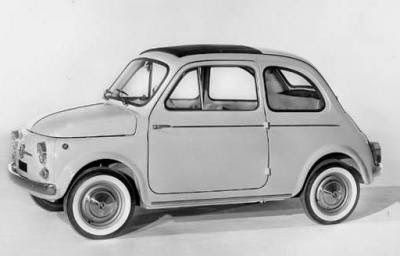 The Fiat ‘Bambino’ or more accurately the Cinquecento! 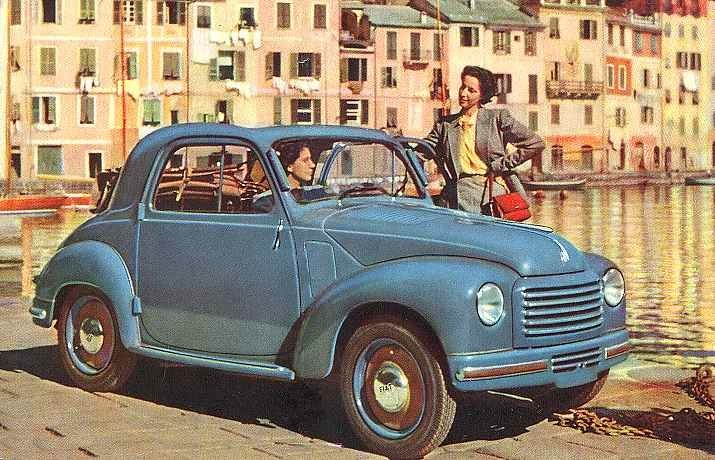 After the end of WW2 there was a rush to introduce small, practical, economy cars and in 1949 FIAT produced a small, two-seater with a 500cc engine which was sold all over Europe. In 1957 FIAT followed this success with the ‘Bambino’ or rather, “The New 500” which was extremely spartan, featuring just two bucket seats and an upholstered rear bench, with a rear-mounted 500cc engine. It was this car which established a BIG reputation, and the abovementioned facts to its credit. Production ended in 1975, but clearly it left a big impact on successive FIAT managements. 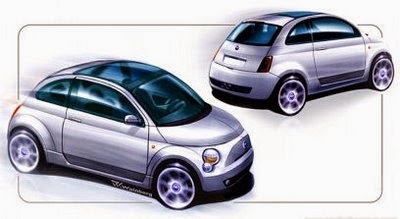 In 2004, Sergio Marchione was appointed CEO of FIAT, and the company showed the Trepiuno concept in Geneva, a car which shared underpinnings with the Ford Ka! So in 2007, fifty years after the launch of the ‘New’ 500, FIAT introduced the car we see today wearing the famous Cinquecento badge. 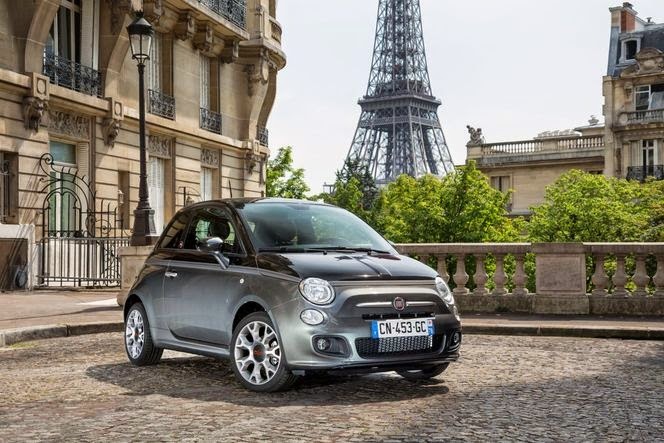 The latest 500 has big shoes to fill, but it has been an unqualified success, and is credited with helping Marchionne bring FIAT back into profit less than two years after he took the helm. After my recent Grand Tour through France and Italy I was unsurprised to see loads of 500s in Italy, but I was amazed to see literally hundreds of 500s in the French towns and cities I drove through. The car is a smash hit in Paris across a broad range of demographics, because regardless of their age or social status the French love its styling, its cache, dynamics and its performance. Back home I had to see for myself what this car is all about, and Gold Coast Fiat-Alfa Romeo obliged with a 1.2 litre ‘Pop’ model, optioned with snazzy alloys and Yokohama low-profile tyres. Fiat-Chrysler Australia offers only three versions Down Under, the Pop, the Sport and the Lounge. There’s lots of optional colors and trims, but I think the interior treatments are a big part of the car’s success. My test car featured the 1.2L petrol engine, producing 51kW, and the only transmission available is a 5-speed Dualogic twin-clutch type. The engine will rev to just above 5500, and maximum torque 102Nm is produced at 3000. Okay, it’s a small car with a small engine, how does it drive? This is a big surprise, the 500 sprints away from traffic lights with impressive verve, which probably says more about the programming of the twin-clutch’s transmission software than raw engine power. The Dualogic seems to suffer from the usual twin-clutch issues, it’s lumpy at low road /engine speeds, lacks smoothness in delicate maneuvers (like parking and reversing), and upshifts are a tad awkward. However, you can drive it manually and that makes the experience a lot more fun! The test car’s low profile tyres and wider alloy wheels make for a slightly lumpy low speed ride and the secondary ride shows some deterioration, but the impact this combo has on handling is spectacular. It’s like driving a Mini, the car turns in well, it’s steering feedback is positive and you never get the wrong signals from its position on the road. The dash is just one binnacle (much like the original 500 and 600 models), but the design, aesthetics and clarity is refreshing. There’s a combined speedo/tacho which takes some getting used to, but once you’re on the road it’s easy to read. The fuel and temperature gauges are LEDs, and there’s also a readout for the day/date and exterior temperature. All this in one instrument! Front seats are fine, and I was surprised at how much room there is in the rear. Fiat’s press kit made a lot of noise about all the tweaks the designers made to every element of the rear cabin. Hollowed out front seatbacks, sculpted side panels, bench and backrest angles, and very good headroom from a moulded roof lining. Mind you, I don’t think this is a car you’d plan to take on a long road trip, but as a city car it’s ideal. Fiat says urban fuel economy is around 6.3 L/100km, and the combined figure is 5.3 L/100km. Seriously though, I think lots of city driving, with aircon and using the automatic gearbox would push it much closer to 7L/100km. For my money, I’d prefer the Lounge model. 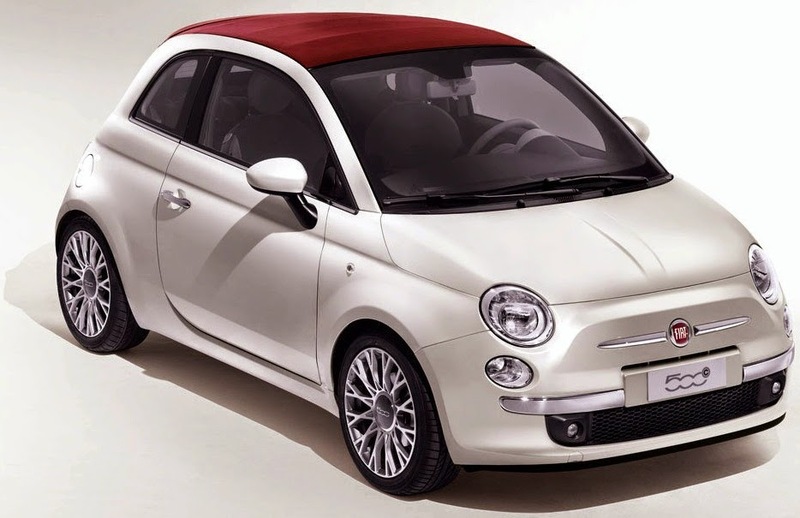 A Pearl White metallic with the red sunroof looks molto stylish, and the interior trims are very chic. 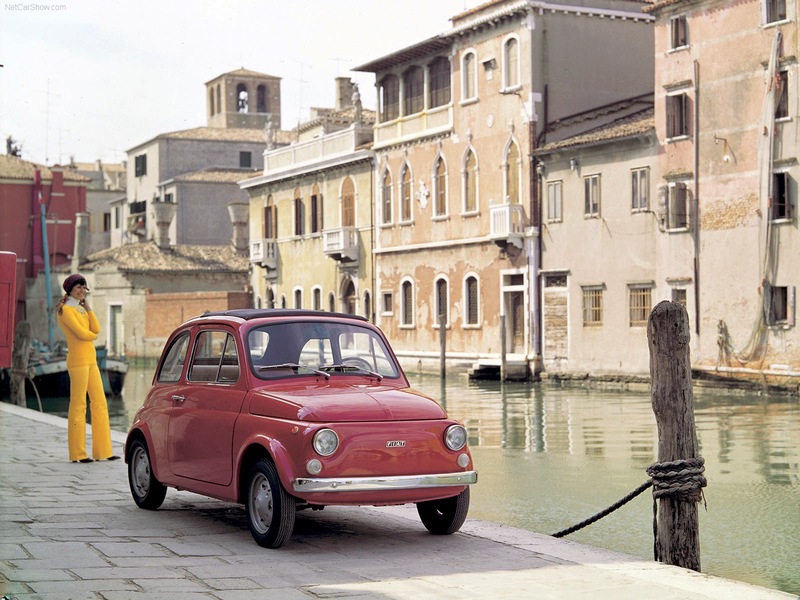 Apparently, there’ll be an all new car in 2016, which won’t be shared with Ford, but the lessons FIAT has learned in the marketplace with this car foreshadows another Italian classic.